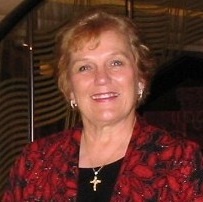 Barbara Edwards is the author of ANCIENT AWAKENING, ANNIE’S HEART, and RACHEL’S RESCUE. She will join the science fiction and fantasy panel. She was interviewed by Cheryl Malandrinos. I’m a native New Englander with a master’s degree in Public Administration from the University of Hartford. I am a past president of the Central Florida Romance Writers and a member of Romance Writers of America, I founded the Charter Oak Romance Writers in Hartford, Connecticut, a chapter of Romance Writers of America, along with several close friends. I’m married to a retired police sergeant. I love Civil War re-enacting, and visiting museums, art galleries, and battle sites. I taught romance writing at Manchester Community College for three years. I write historical romance, romantic suspense, and paranormal romance. When did you decide to embark upon a career in writing? Did someone or some event influence your choice in any way? My earliest memories are of my father reading the classics to my sister and me at bedtime. I learned to love words and wanted to be a writer, but played with poetry for many years. When I finally decided I needed to tell a story, I found my calling. I don’t think she knows but Zita Christian was a big influence. I remember her saying romance writers are professionals and to be proud of what we do. What genres to you write in? What do you enjoy most about them? I write historical romance because I love history. A little known nugget of information will give birth to a story and there I go. I tried romantic suspense, but found it much harder to research. Things are changing so fast it’s difficult to keep it updated, but I love modern men. I found a home with paranormal. All those dark little corners of my soul come creeping out and invade my stories. Here is the blurb for ANCIENT BLOOD: Lily Alban escapes a murderous stalker, but his vicious attack leaves her with the ability to see auras. She finds safety in the tiny hamlet of Rhodes End where a stranger stands out like a red light. Try as she might to deny her growing desire for Cole, she seeks his help but soon discovers the man she loves is not a man at all. 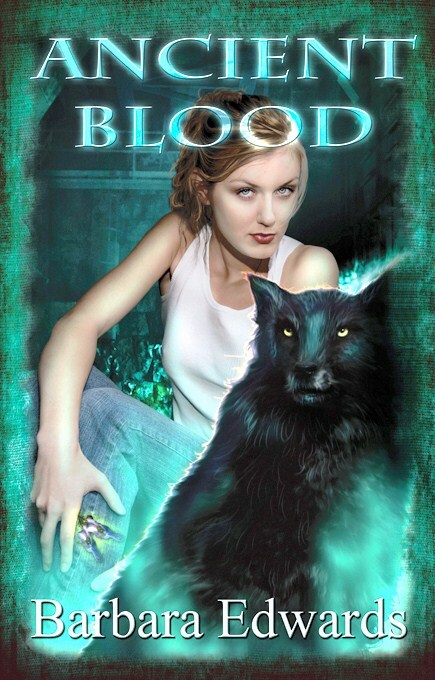 Werewolf Cole Benedict resists his attraction to Lily. A botanist researching the healing herbs to find a cure for Lycanthropy, he’s determined to protect Lily from her stalker as well as himself even in human form, but instinct takes over when he changes to his inner beast. Together they must use their extraordinary gifts to catch Lily’s stalker before he attacks again, but revealing their secrets to one another could destroy their growing love or save them both. You might laugh, but all my stories come from my dreams. This one happened to be a terrifying Technicolor nightmare. I woke and immediately started writing Lily’s story. Both Lily and Cole live with me, along with Mel and Steve from ANCIENT AWAKENING. You’re also a Civil War re-enactor. Has this aspect of your life made its way into your writing? If not, will it? It has. I’m writing a love story set at a Civil War re-enactment. I’m having fun with the heroine who is a city girl camping for the first time. Ah, to be rescued from all that wild life by a man in uniform. You’re on the Exploring the Avenues and Lanes of Sci-Fi/Fantasy panel at this year’s WriteAngles conference. Can you tell us a little bit about what you’re planning? We’ve discussed several options, but I’m concentrating on writing a series and keeping a book bible. ANCIENT CURSE, book three in the Finding Rhodes End series. Rainie, my heroine, has the skill to read the history of any object she holds. My hero Ted is an ongoing character who earned his own story. They’re living in a mansion haunted by the former owner who is determined to regain life. Can you tell our readers where they can find you online? I’m looking forward to the panel and meeting everyone and answering questions. I’ll also be happy to autograph my books. I see we have a few things in common, such as being past presidents of our local RWA chapters. Also, my Dad contributed to my reading. He would bring my brothers and me to the library where we’d stock up on books. Hi Barbara, I enjoyed learning more about you. My father also used to read the classics to my sister and I.
Barbara, I’ve read Ancient Blood and enjoyed it very much. Ancient Curse sounds very interesting as well. The Civil War Reinactments sound very interesting.